Since 1853, Steinway & Sons pianos have set an uncompromising standard for sound, touch, beauty, and investment value. Handcrafting each Steinway requires up to one full year – creating an instrument of rare quality and global renown. 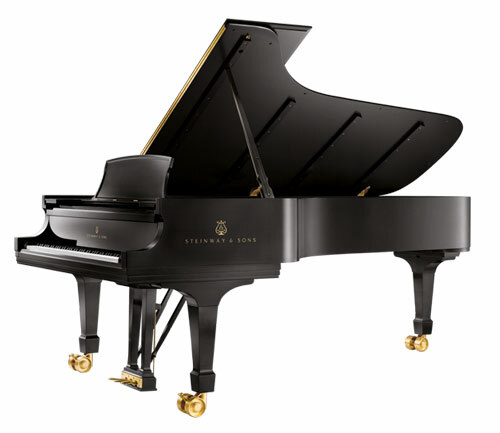 Not surprisingly, Steinway remains the choice of 9 out of 10 concert artists, and countless pianists, composers, and performers around the world. Steinway is dedicated to the ideal of making the finest pianos in the world. The result is instruments renowned for their unsurpassed quality. Pianos with such superior sound and responsive touch that they enchant the most demanding pianists. And Steinway pianos are preferred overwhelmingly by people who share the joy of playing and owning the finest musical instrument — a joy which can be yours when you bring a Steinway into your life. The Steinway designed Boston Piano — long unrivaled in its class and unmatched in value — has been significantly enhanced with the introduction of the new Performance Edition. The Boston Performance Edition features improvements in materials, specifications, and performance never before seen in the mid-price range. The Steinway-designed Essex piano incorporates the latest design specifications and engineering standards from Steinway & Sons. In keeping with Steinway’s commitment to excellence, Steinway & Sons provides technical assistance for the production of Essex pianos, to insure that Essex pianos are made to the specifications established by Steinway. And every Essex instrument is inspected by a team of highly experienced Steinway & Sons trained technicians before it leaves the factory.